VANCOUVER, British Columbia — No nursing home wants to be known for uncertainty and intrigue. So a Canadian retirement home chain found itself in an uncomfortable position last year when it agreed to be bought by a politically connected Chinese company with a shadowy group of owners. Regulators approved the deal even though the buyer was under regulatory scrutiny in the United States, and while critics in Canada questioned the identities of its local representatives. 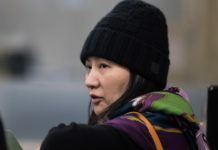 Today, the chairman of the Chinese buyer, Anbang Insurance Group, is being held by the Chinese police for undisclosed reasons — and critics say the deal represents the latest example of Canada’s troublingly lax attitude toward Chinese money flooding into the country. Canada, like the United States and other countries, is grappling with how to handle billions of dollars of Chinese purchases on its home turf. Recent purchases have included big oil companies, swank office buildings and cutting-edge tech firms. 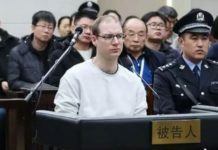 That last set, in particular, has raised objections in the United States as well as Canada from those worried that they could give China access to sensitive technologies. 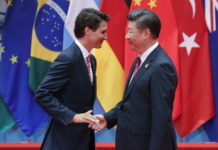 “There’s an emerging pattern here of being naïve with regard to China, and lax with regard to national security,” said Michael Byers, a Canada Research Chair at the University of British Columbia. That leaves Canadian officials in a fix. China has helped lift Canada’s economy with tens of billions of dollars a year in exports. Its investments are often in businesses like nursing homes that could use the money. Many of those transactions have little to do with national security or other sensitive issues. 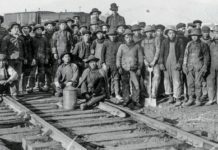 Economically, China and Canada have grown close. The value of Chinese direct investment in Canada increased nearly fivefold between 2007 and 2015. Chinese buyers have struck nearly $43 billion in Canadian deals over the last seven years, according to Dealogic, a data provider. But that closeness has caused tensions. 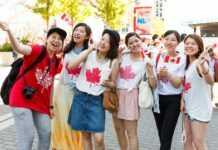 Many Canadians blame Chinese money for soaring home prices in places like Vancouver, and perceive a softening of Canadian positions on topics like human rights. Last year at a news conference, China’s foreign minister rebuked a Canadian journalist for asking a question about human rights while Stéphane Dion, then Canada’s foreign minister, stood silently by. Now some critics are focusing on the deals themselves. In January, the Trudeau government reversed a decision to stop a company partly owned by a Chinese state-owned firm from purchasing a Montreal-based laser company called ITF Technologies. In June, a United States security official expressed wariness over Ottawa’s approving a Chinese company’s acquisition of Norsat, a company that provides satellite technology to the American Defense Department, among others. The United States will review the Norsat deal, said Michael R. Wessel, a member of the U.S.-China Economic and Security Review Commission, which monitors security issues for Congress. The Trudeau administration defended the recent deals, saying they were thoroughly vetted under Canadian takeover law. “Our government has a balanced approach of openness to ideas, people and trade,” said Hans Parmar, a spokesman for Canada’s economic development ministry. That law, called the Investment Canada Act, is similar to the takeover review laws of the United States. Government officials make recommendations to the economic development minister, who can block the deal. 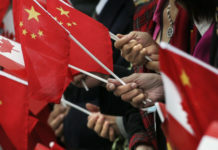 But while United States officials have rejected a growing number of Chinese deals, rejections in Canada are rare. Its takeover panel has rejected only two deals since 1985, while more than 1,700 transactions have been approved. The government does not release data on deals canceled before a decision was made. The Canadian government also does not review deals below a certain level — and that level keeps rising. The threshold rose in April from deals valued at 600 million Canadian dollars to those valued at 800 million dollars, and it rose again to 1 billion dollars, about $770 million, on June 22. “In that regard, most investment in Canada is not subject to any review at all,” said Josh Krane, a partner at the law firm Blake, Cassels & Graydon. The government points to recent moves to tighten regulations, including a 2015 requirement that investors declare whether a foreign state had financial interests or other influence over them. Anbang’s deal for the retirement home chain, Retirement Concepts, went through Canada’s deal review process. Anbang burst onto the global deal scene three years ago when it unveiled a deal to buy New York’s Waldorf Astoria hotel for about $2 billion. But questions about ownership have dogged the company. 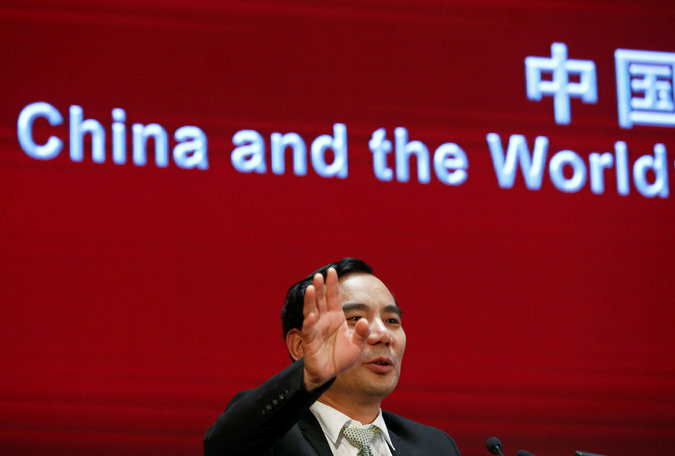 The New York Times reported last year that many of the company’s owners had links to its chairman, Wu Xiaohui, who according to Anbang’s public records does not own shares himself. Such ownership issues can be sensitive in China, where the wealthy and powerful often hold shares in companies in the names of other people. New York State insurance regulators questioned details of Anbang’s ownership in June 2016, evaluating its proposed $1.6 billion deal to buy an Iowa insurer. Anbang abandoned the deal this year. Anbang also fell into the public spotlight when it tried and failed to reach a deal on a skyscraper project in Manhattan with President Trump’s son-in-law, Jared Kushner. In November, Anbang said it would purchase Retirement Concepts, which owns more than 20 retirement homes across Canada. Medical groups, unions and doctors quickly criticized the deal, asking whether a foreign buyer could be held accountable. Some also questioned its paperwork. Anbang conducted the transaction through a new holding company called Cedar Tree Investment that initially listed Hong Zhao and Ye Zhang as directors. Cedar Tree then listed different directors. The shifting paperwork drew scrutiny from the local news media. Anbang declined to comment on the changes. The deal was approved in February. Four months later, Anbang was back in the news after Mr. Wu, Anbang’s chairman, was detained by the Chinese police for undisclosed reasons. Tim Ragones, a spokesman for Anbang, said its North American operations were unaffected. “We continue to operate our properties and move forward with our development projects,” he said in an email. Retirement Concepts did not respond to requests for comment. 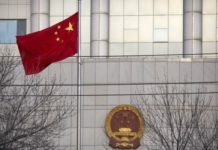 Scott Sinclair, a fellow at the Canadian Centre for Policy Alternatives, a think tank, says he worries that Anbang intended only to use Retirement Concepts as a foreign supply of cash — one it could squeeze if it came under more official pressure in China.